The best film emulation Lightroom presets and Photoshop actions. 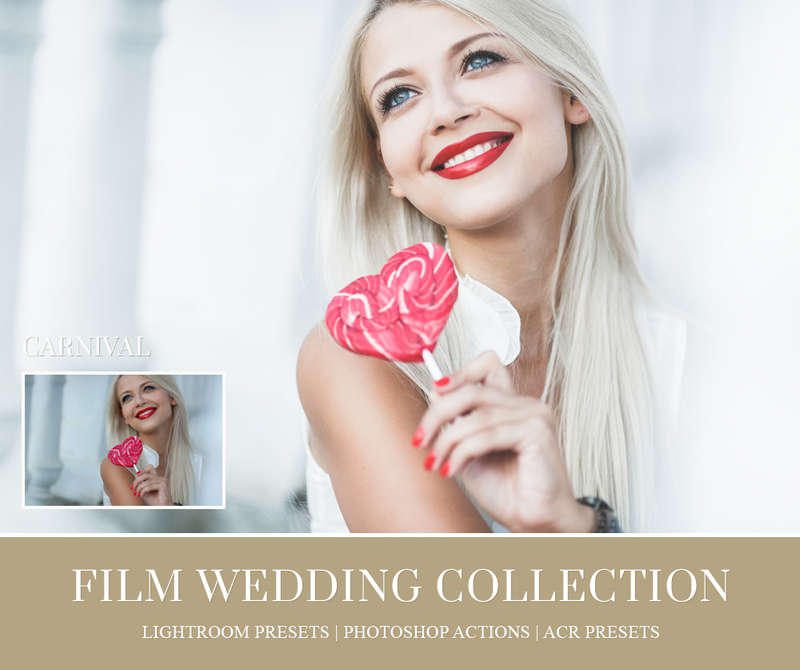 Film wedding Lightroom Presets, Adobe Photoshop Actions and Camera Raw Presets Collection gives you tons of variety and includes everything from elegant to rustic presets. This professional film collection is good for black & white, portrait, fashion, wedding or landscape photography. There are endless style variations, making this the most valuable addition to your presets library. Create your photos in a unique and stylish way. 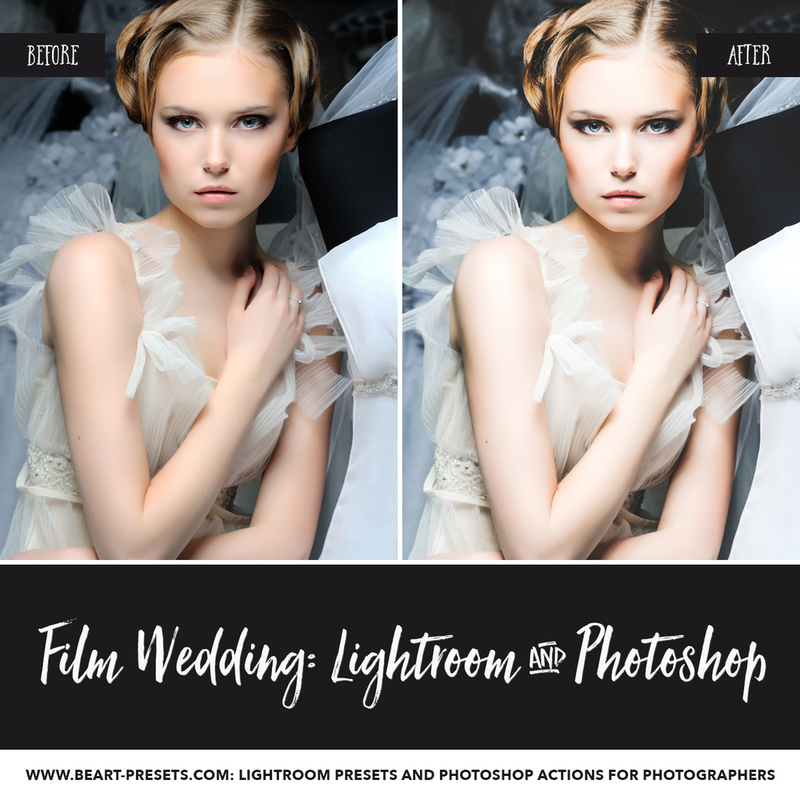 BeArt Presets offers a number of high-quality Film Wedding Lightroom Presets and Photoshop Actions that will make any image look soft and beautiful – as if it was captured on film. Designed with professional photographers and photography enthusiasts in mind, these presets and actions are easy to use, yet perfectly emulate the rich texture and subtle color-palette of images produced by film photography. Although modern digital equipment has largely replaced this classic form, your photos can now evoke the emotion, simplicity, and authenticity that’s so unique to film. Have you captured a beautiful bride in her wedding dress? How about a historic building situated by a shore? Or maybe even a book laying open on a table. These images would be perfect for applying Lightroom presets and Photoshop actions to for results that are stunning. To get started, simply shoot photo as usual, download our premium presets, and apply them to your shots. Once you start working, you’ll realize just how many options our Lightroom Presets and Photoshop actions provide you with. Each of our 40 Lightroom presets, 40 Film Photoshop actions, and 40 Adobe Camera Raw presets provides a variety of color effects to suit every occasion and style. They can be applied to portrait, wedding, fashion, black and white, editorial, family, senior, and street photography for soft, authentic, film-inspired effects. Whether you’re applying them to a picture of elegantly assorted flowers or to a headshot of a demure woman, you have an endless variety of style options at your fingertips – and the effects will be stunning. You can soften the colors to add an airy quality, brighten the light for richer tone, and focus on slight imperfections to remove them. Do you want the overall feel of the photo to be elegant? That’s an option. Rustic? That’s an option too. Whatever you have in mind, just select the appropriate preset to create images that are just as perfect as you imagined them. If you have many photos to edit, don’t worry. 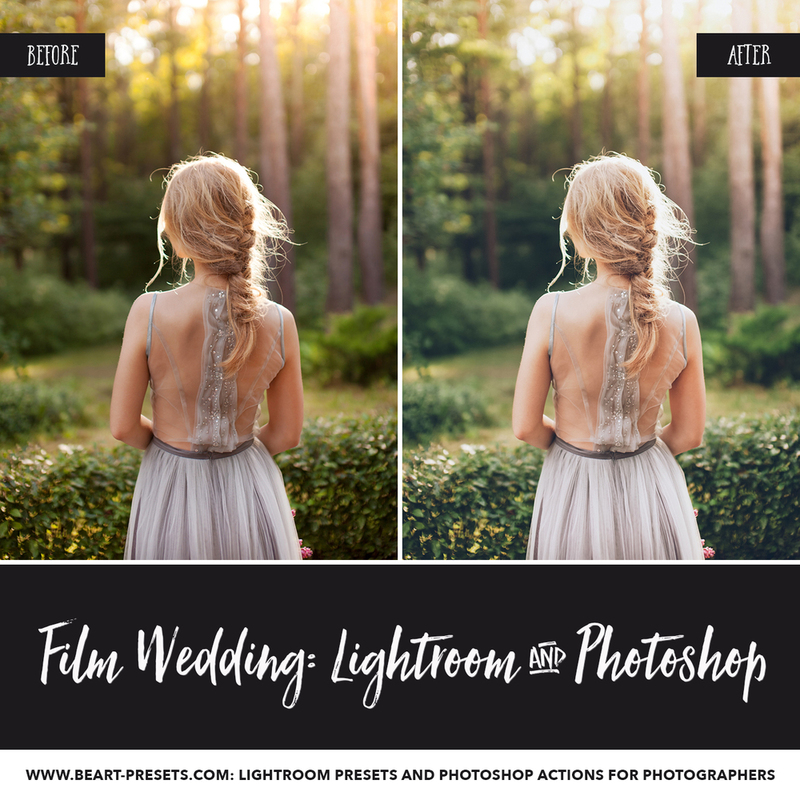 Our Film Lightroom presets and Photoshop actions make it just as easy for you to apply various changes to one photo as it is for you to apply changes to many of them. And that’s not the only benefit. 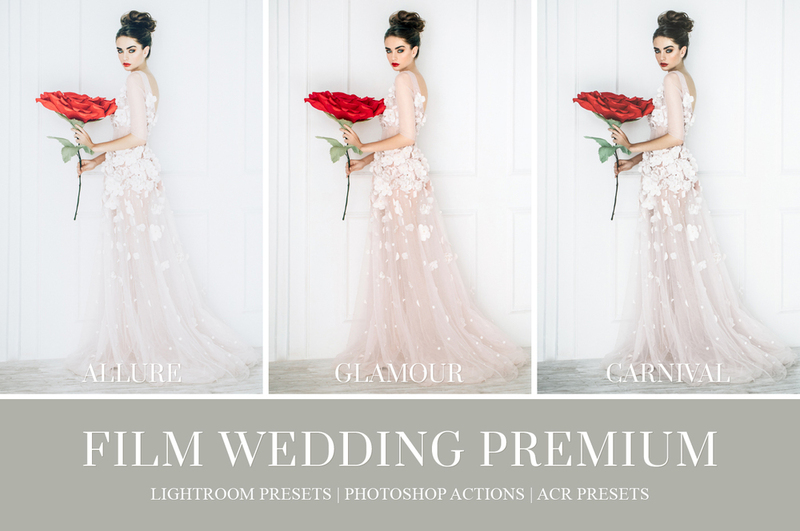 Our Film Lightroom Presets and Photoshop Actions provide many benefits to photographers. Do you spend hours setting up and taking beautiful photos only to spend additional hours post-processing them to perfection? Our presets and actions can help. Because they’re easy to use and effective, they can drastically reduce your editing time and ensure that you get your photos back to your eagerly awaiting clients on time. If you’re downloading the presets and actions for the first time, the process is simple, with detailed installation instructions included. If you’ve been struggling to capture photos that are consistently soft and delicate or are developing a photography brand that specializes in styles that are simple, elegant, and timeless, Film Lightroom presets and Photoshop actions are just what you need. No matter how you initially take the shots, they can be edited to look as authentic as if you were shooting the film yourself. After all, we understand how difficult it can be to produce professional photos that are done right. 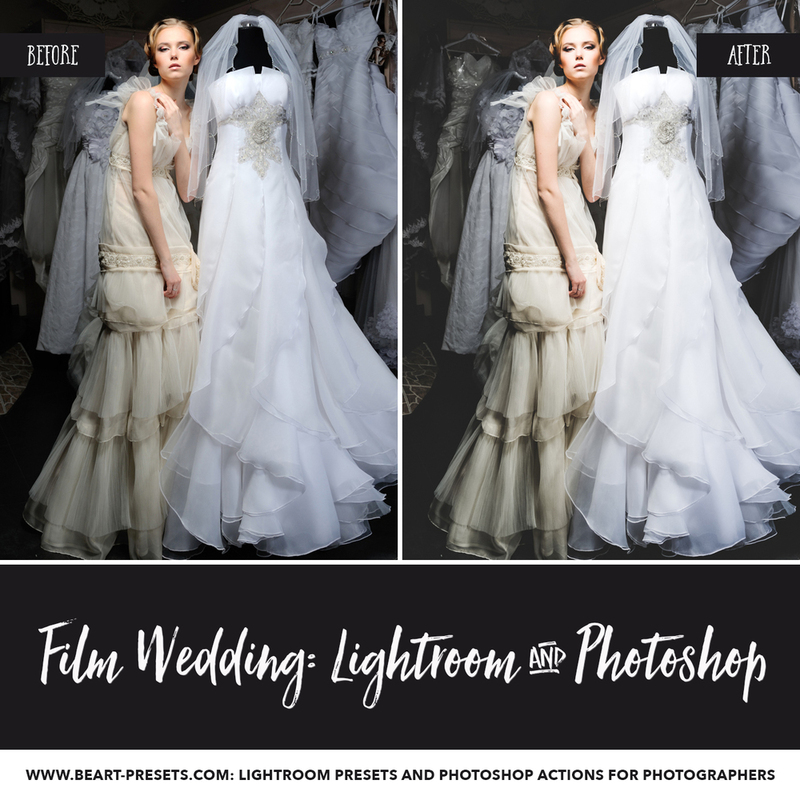 That’s why we offer our high-quality Film Lightroom Presets and Film Photoshop Actions – so you can capture as many photos as you like, and easily apply a variety of authentic film options that are beautiful and time-saving.